Transformer Man – The Home of My "Big Things"
I call this a Transformer Man since it is made up of a bunch of car parts. 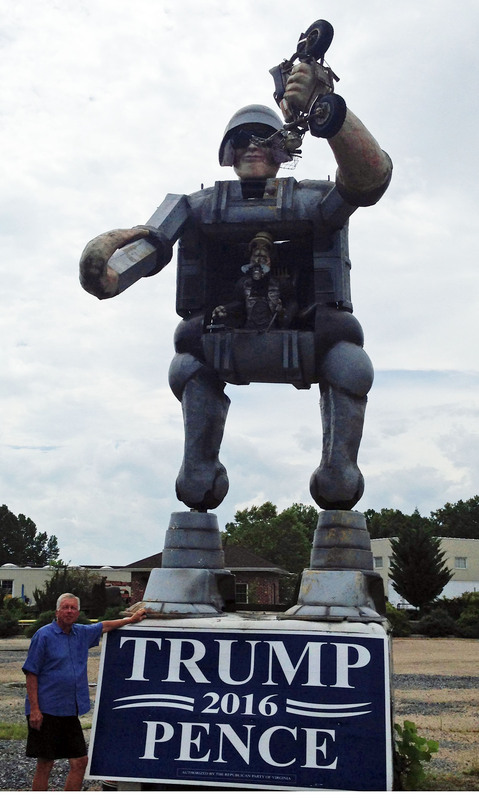 It can be found on Sycamore Ave. in Buena Vista, VA in front of a metal reclaimation facility (aka: junkyard.) I like it a lot since is showed a lot of creativity to construct. This was our first stop in Virginia on our way to South Carolina to view the total eclipse in Columbia, SC. No comment on the politics still displayed 9 months after the election.